Swift-MicroscopeWorld.com is excited to announce three new Swift SM101 series of stereo microscopes to the existing line. This stereo microscope is available either as a cordless, rechargeable microscope, or a corded microscope. With three LED lighting options, specimens can be illuminated from beneath the stage, from the angled light above the stage, or from the LED lights that create a ring around the upper objective lens. 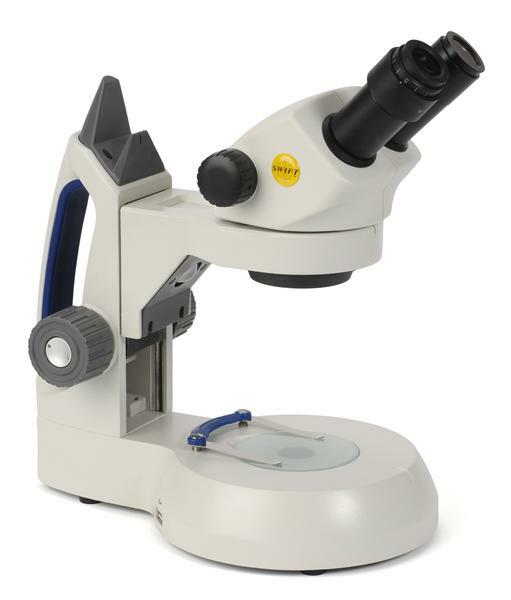 You can order the stereo microscopes online from Swift-MicroscopeWorld.com. View all Swift stereo microscopes here.